New season new thread! It's the best time of the year when hopes are high and reality is still a comfortable distance away. The NHL starts the new season tonight! What are everyone's early predictions for the season? I was tempted to say Desjardins in Vancouver for first coach fired, but I think they'll let him muddle on. the illnesses and injuries are already starting to pile up around the league. Crosby out with a concussion and Eichel's ankle has been destroyed. My new thread resolution is to not ruin the thread for everyone with excessive negativity. *How Winnipeg does without the Pavelec millstone hung around their neck. *Toronto. I think they'll do well even though they're a cap floor team when you account for all the players they're paying not to play. *Anaheim falling down an elevator shaft with their aging core and Randy Carlyle. Plus Lindholm's still not signed. *Edmonton's lack of depth is disturbing, once again throwing rookies into the lineup to plug holes that would have been cheap to fill in free agency or even waivers. *Anaheim falling down an elevator shaft with their aging core and Randy Carlyle. Yeah, I cannot see that ending well. Things are looking good over here in Smashville. 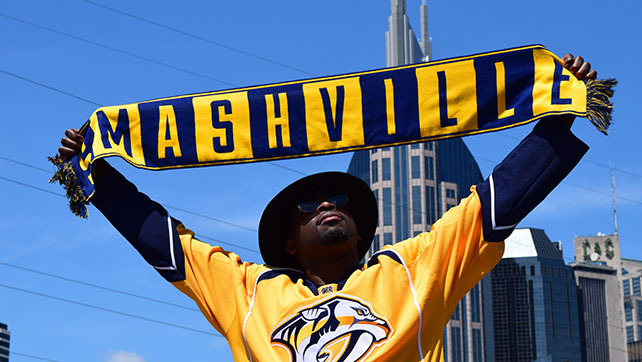 I'm really hoping Subban has a great season in Nashville this year. I cannot see a NHL where he wins a Norris (sorry Roke), but I really hope he puts it to the Canadiens and makes it blisteringly obvious which team got the better of that trade. edit: I love Matthews. Two goals already and it's only the first period. This year is going to be fun. The Senators might want to actually mark Matthews when he's in the offensive zone. The second goal was terrific (although the goaltending on it was a bit weak). Marner and Matthews both look very exciting tonight. This has been a fun game to watch so far, except for the fight and Chris Neil being Chris Neil. Does 4 goals still count as a hat trick? Ugh, I wanted that win. The kid scores 4 and still loses - welcome to being a Leaf I guess? All the same, we dominated play pretty much the whole game and the rookies were our best players. It was positive for the future of this team. Still really wanted that win. Well, the Wild started off the season as the same old Wild, as expected. And those expectations are low. When the first shot attempt went off the post I remembered the last year or two far too clearly. At least in those last years it looked like they were playing fast paced, hard working, fun to watch hockey. I'm worried that this year they won't even be much fun to watch. They've been average to good ever since coming in to the league and with virtually no top draft picks the complete lack of offensive talent is really starting to show. I can only watch young defensive talent for so long before I start to long for someone who can put a puck on net once in a while. In the net would be even better. Granted, it was the Blues in their barn so I'm not going to completely worry that the sky is falling, just getting an earlier than normal start this year. It only gives names for the longer serving coaches, but interesting, I thought. Well, Joel Eriksson Ek has me feeling slightly more optimistic about the Wild's season. He had visa issues so couldn't play in the first couple games but I'm really enjoying watching him now. Uses a bit of physicality to get the puck, gets pucks out, and best of all puts pucks on net. He's not getting a ton of ice time right now (and I wouldn't expect him to), but I find myself looking forward to every shift. Now if only they could find a backup goaltender more consistent than Kuemper. He's just so prone to melting down after giving up a soft goal, and sometimes even after a not-so-soft goal. Can be fantastic when he's on, but once he gives up one it seems like 3 more are to be expected soon. I think I'm going to get my start watching hockey today with the Blackhawks! Wish me luck, hah. Trying to expand my sporting horizons here. The Wild are doing much better than I expected, especially after that incredibly miserable game to start the year. And doing it sans Parise and Scandella. Not too shabby. I haven't been paying all that much attention to the league overall thus far though, so I went to check the standings quick. Do the Blackhawks ever just lose? Bleh. I'm tired of you guys now, please go away. I don't want another playoff exit via Chicago. It is funny to see the Oilers atop the Pacific though, that's something I wouldn't have taken 50:1 odds on to start the year. At least some things change; now if Chicago would just do the same. Blackhawks PDO is through the roof at the moment. Translation: they've been lucky so far. They're going to be a good team again this year, but not 2012-13 dominant. I'm really happy to see the Wild do well under Boudreau. I've been a fan of him for a long time - Anaheim was insane to fire him last year. Edmonton seems to have finally turned into a real team this year. But the story of the Pacific is really the surprise of how bad everyone on the west coast has been so far. San Jose has been unlucky so far, and LA may finally be becoming more average. The Habs are another team with crazy PDO, but they look like a good team this year. Radulov in particular looks like a good signing. The 10 - 0 loss was a shocker, though. That has to be a concern - I really do think the team is quite fragile. Therrien's systems are basically: defend like crazy and try to score on transition. He has a superstar goaltender to bail them out, but it's just not sustainable, not really. When you start getting bad bounces and falling behind in games, what then? Canucks are still terrible and are run by, maybe, the worst management team in North American professional sports. Benning, Linden, and Weisbrod expected to make the playoffs and have no injuries all season but they have the 2nd worst goal differential in the league (-15) and their best forward and defenceman are already injured (Hansen and Tanev). I so want these morons fired before they can damage the team any more. Definitely. Not sure what it will take to clean house in Vancouver, but it needs to happen. I do think that teams are increasingly adopting statistics and new sources of analysis to their decision making. Sure, there are a lot of old guard teams out there still, but quotes like this one from Pittsburgh coach Mike Sullivan are getting more common. Sports have shown repeatedly that it's adapt or get left behind, and there certainly have been new trends in hockey in the last couple years. Trends like the transformation of fourth liners from enforcers to up tempo grinders. The disappearance of the hulking defensive defenceman who goes for the big hits. The use of o-zone possession time as a form of defensive of hockey (think the LA Kings). I guess I'm writing all of this to say that there are good hockey minds out there that Vancouver could tap into. They're getting left behind. What's worse is that the Canucks were on the cutting edge of this! Phoenix's GM and his company had an exclusive contract with them. 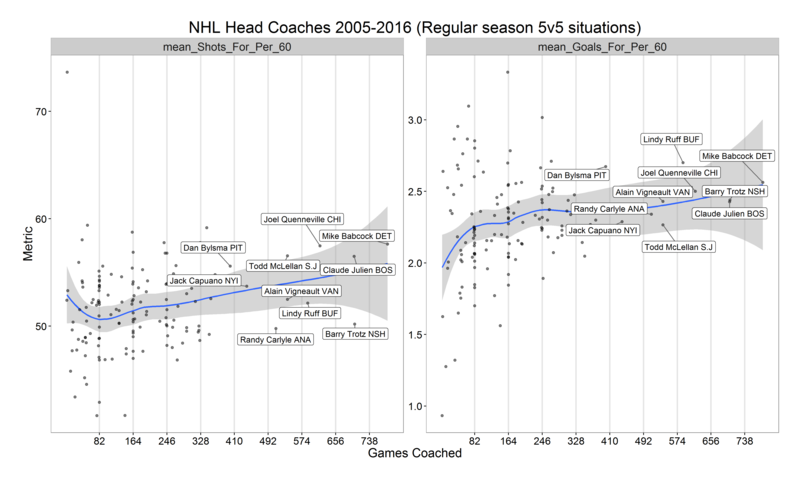 Their top six were consistently two way multidimensional defencemen and all could skate. Owners responded to the idiot "HIT HIM" and "SHOOT IT" fans by bringing in the dumbest of the dumb. I'm watching Leafs - Habs right now. Damn, is Carey Price so good. In a league of his own, no doubt. My co-worker thinks Carey Price isn't very good. I looked it up and the only goalie better than Carey Price since Price's rookie season is Cory Schneider. I immediately felt sorry for Cory Schneider as no one has any that he's secretly the best goalie in the league. A healthy Carey Price is a scary thing, though. So...the Vegas team is going to be called the Golden Knights. It's going pretty well, guys!